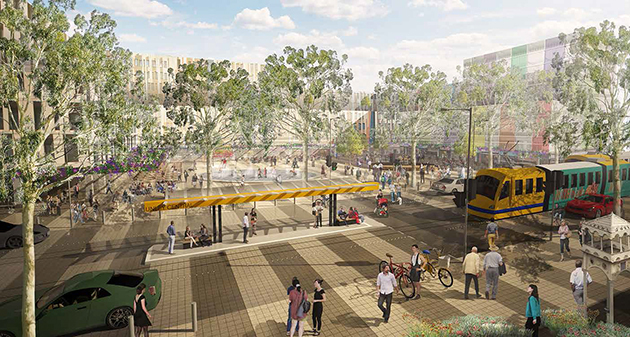 To help guide new development and achieve the goals of the Government’s 30 year plan Council needs to change it’s development plan to accommodate the future of Unley Central. This is something we must do as our development plan is required by law to reflect the strategic planning of the State Government. Noting this, Council’s vision for our city is that we be recognised for our “vibrant community spirit, quality lifestyle choices, business strength and innovative leadership. To help realise this vision we conducted a study into the potential for higher and denser building forms to achieve new commercial and residential developments in and around the District Centre of Unley. The result was we produced in 2014 the Unley Central Precinct Plan. We have now engaged a consultant team lead by URPS to provide recommendations on the desired urban design, built form, land use, traffic, transport, and parking to guide the preparation of the planning policy. This is where you come in. on Saturday 21 November between 10.00am and 12 noon. This is about the future of Unley Central. If you care about Unley now is the time to contribute. It will be too late under the Minister for Planning’s proposed changes to the Development Act if you wait to respond to development on the block next door to you in 5 years time. Please provide us your views by Friday 4 December, 2015.